Late last year I was invited to give the first presentation for the 2019 season of “The Lounge Series” in Jasper, Indiana! How could I refuse when it’s one of my favorite topics – mandalas! I’m underway with preparing slides and images to share the history of this amazing art form, after which we will all create our own mandala artwork. All the details about the event are shown in the flyer below, if you live in the area it would be amazing to meet you! I’ve been uploading a new (free!) 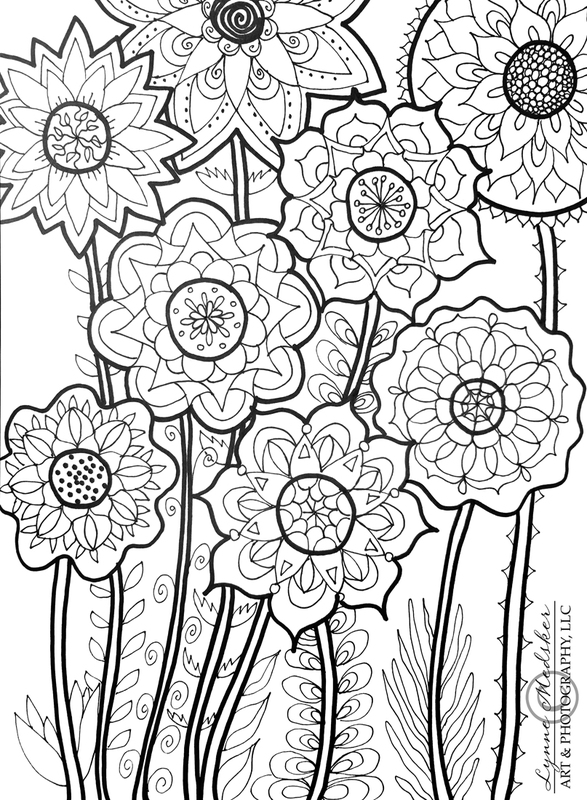 downloadable coloring page to my website each month this year, feel free to go snag one, two or all of them if you’re interested. This tree image is the most recent. They can all be downloaded from THIS PAGE. When you are ready to download/print, visit THIS PAGE on my website to access the file. Happy New Year and happy coloring!